Those who worship the demigods will take birth among the demigods; those who worship the ancestors go to the ancestors; those who worship ghosts and spirits will take birth among such beings; and those who worship Me will live with Me. If one has any desire to go to the moon, the sun or any other planet, one can attain the desired destination by following specific Vedic principles recommended for that purpose, such as the process technically known as darsa-paurnamasi. 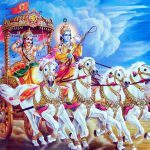 These are vividly described in the fruitive activities portion of the Vedas, which recommends a specific worship of demigods situated on different heavenly planets. Similarly, one can attain the Pita planets by performing a specific yajna. 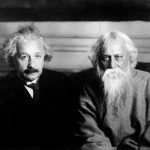 Similarly, one can go to many ghostly planets and become a Yaksha, Raksha or Pishaca. Pishaca worship is called “black arts” or “black magic.” There are many men who practice this black art, and they think that it is spiritualism, but such activities are completely materialistic. Similarly, a pure devotee, who worships the Supreme Personality of Godhead only, achieves the planets of Vaikuntha and Krishnaloka without a doubt. It is very easy to understand through this important verse that if by simply worshiping the demigods one can achieve the heavenly planets, or by worshiping the Pitas achieve the Pita planets, or by practicing the black arts achieve the ghostly planets, why can the pure devotee not achieve the planet of Krishna or Vishnu? 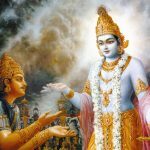 Unfortunately many people have no information of these sublime planets where Krishna and Vishnu live, and because they do not know of them they fall down. Even the impersonalists fall down from the brahmajyoti. The Krishna consciousness movement is therefore distributing sublime information to the entire human society to the effect that by simply chanting the Hare Krishna mantra one can become perfect in this life and go back home, back to Godhead. That is true, but the rule is this: the devotees of those particular devatas will attain only those particular devatas. And because the devatas are destructible, how can the worshippers of those devatas become indestructible? But it is understood that the devotees of the Lord are eternal, like the Lord. I am indestructible, eternal, and my devotees are also indestructible. 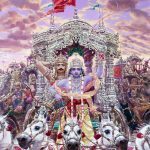 The question may arise that since the votaries of the demigods fall continuously back into samsara the cycle of birth and death then why did Lord Krishna advocate the worship of the demigods as He did in earlier in chapter 3, verses 10 and 11. 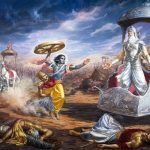 In this regard it should be clarified that Lord Krishna did not state that worship of the demigods has no value at all but that worship of the demigods has no permanent value as the demigods themselves are not eternal. But it should be understood that one receives the merit and reward in accordance to what their object of worship is qualified to bestow. The adorers and worshippers of the Supreme Lord have a preponderance of sattva guna the mode of goodness. The propitiators of ceremonies for the ancestors have a preponderance of raja guna or the mode of passion and the ritualistic panderers of the demons, ghosts and spirits have a preponderance of tama guna or the mode of ignorance. All these worshippers if successful in their propitiation are bequeathed with the rewards sought after by their respective object of worship achieving their realm, in close proximity and association sharing all the delights offered there until one has exhausted their merit where they fall back into samsara. But the devotees of the Supreme Lord Krishna having an extreme preponderance of bhakti or loving devotion are endowed with pious virtues possessing all good qualities and as such they attain the Supreme Lord Himself, Lord of lords, God of gods who is beyond birth and death. Full of innumerable transcendental qualities and attributes like eternal existence, infinite knowledge and immeasurable bliss. The purport is that Lord Krishna’s devotees knowing Him to be the are endowed with a nature exclusively devoted to Him are untouched by actions of duality and ignorance and are totally different from the devotees of other gods. 9.25 Deva-vratah, votaries of the gods, those whose religious observances [Making offerings and presents, circumambulation, bowing down, etc.] and devotion are directed to the gods; yanti, reach, go to; devan, the gods. Pitr-vratah, the votaries of the manes, those who are occupied with such rites as obsequies etc., who are devoted to the manes; go pitrn, to the manes such as Agnisvatta and others. Bhutejyah, the Beings such as Vinayaka, the group of Sixteen (divine) Mothers, the Four Sisters, and others. And madyajinah, those who worship Me, those who are given to worshipping Me, the devotees of Visnu; reach mam, Me alone. Although the effort (involved) is the same, still owing to ingorance they do not worship Me exclusively. Thereby they attain lesser results. This is the meaning. ‘Not only do My devotees get the everlasting result in the form of non-return (to this world), but My worship also is easy.’ How? yānti — go; deva-vratāḥ — worshipers of demigods; devān — to the demigods; pitṝn — to the ancestors; yānti — go; pitṛ-vratāḥ — worshipers of ancestors; bhūtāni — to the ghosts and spirits; yānti — go; bhūta-ijyāḥ — worshipers of ghosts and spirits; yānti — go; mat — My; yājinaḥ — devotees; api — but; mām — unto Me.